The conflict between Angela Merkel and her Interior Minister Horst Seehofer is so severe that either she loses face or they both lose their jobs and Germany is without a chancellor, political scientist Werner J. Patzelt said. Seehofer is threatening to resign amid a growing divide with Chancellor Merkel over migration policy. He has been pushing for a tougher stance on asylum seekers and German media suggest he wasn't swayed by a recent deal struck by the EU to solve the crisis. RT spoke to Patzelt, a professor of the Technical University of Dresden, who believes the stand-off within the German leadership may not end with a favorable compromise. “Angela Merkel doesn’t want to move or is unable to move due to European obligations,” says Patzelt. “For the Christian Social Union (CSU) it is of utmost importance not to lose its credibility. The promise has been that Seehofer would stop immigration of those who are not entitled to go through the asylum procedure in Germany. And if he doesn’t keep with this promise the CSU will lose all of its credibility. Patzelt also thinks there is a high probability that Seehofer, who has previously issued warnings to such effect, will use his power to make sure that asylum seekers are refused entry to Germany if they have already been registered in another European country. “And then Chancellor Merkel is entitled to dismiss her minister of interior. In this case, the CSU, Seehofer’s party, would quit the coalition government,” he continues. In such a circumstance, Merkel would no longer have a parliamentary majority, and consequently, there would be new elections, Patzelt explains. He also believes that these elections “would revolve on the immigration issue” with no chance of victory for the Christian Democratic Union. 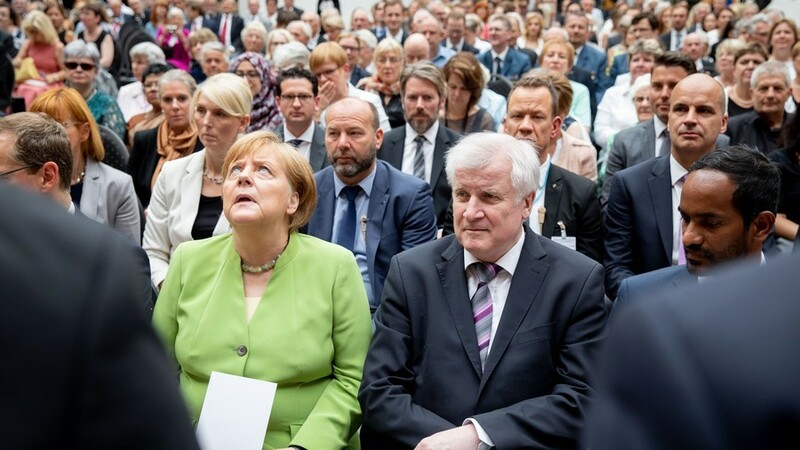 “The conflict has been so severe that either Angela Merkel loses face or Seehofer loses his job and Merkel loses her job as the chancellor within a few weeks,” he claims. Patzelt points out that what Merkel “sells as a threat to European integration” is considered by Seehofer and the CSU as a suitable means of stopping immigration to Germany and to Europe. And he predicts that there will be a chain reaction in European countries if Germany closes its borders. “This chain reaction is exactly what the Bavarian leaders expect to be the case and hope to be the case,” the analyst says. Austrians, for instance, will not be willing to accommodate refugees and will therefore close their border with Italy and Slovenia quite soon, he explains. “As a result Italy will be in the position to have really good reasons for no longer accepting any people coming to Italy by the Mediterranean,” Patzelt says, adding that this would be exactly the result the CSU intends.